Rollicking Tibetan folk, afro-reggae guitar grooves and intricate Indian tabla sound as if they were made for each other! Tibet2Timbuk2 (Tenzin Choegyal, Marcello Milani and Shen Flindell) create a new joyful sound that transcends cultural boundaries. 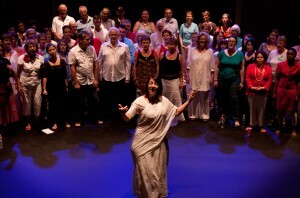 After T2T2, The Roaring Fire Choir will take to the stage. A choir of 50+ voices led by renowned musical director Yani collaborates with Tibetan musician Tenzin Choegyal to create a truly inspiring performance, completing a magical evening. 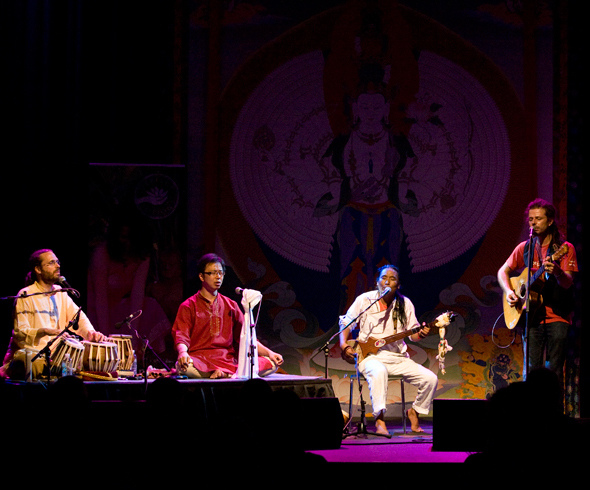 Rangzen means ‘freedom’ in Tibetan and the artists offer this concert in the unwavering hope for freedom. **The Tibetan word “Lhakar” (ལྷག་དཀར་) translates literally as “White Wednesday,” as Wednesday is considered special by Tibetans because it is the Dalai Lama’s soul day (བླ་གཟའ་). Lhakar is a homegrown, Tibetan self-reliance movement that started after in the aftermath of the 2008 uprising. In spite of China’s intensified crackdown, Tibetans have embraced the power of strategic nonviolent resistance.